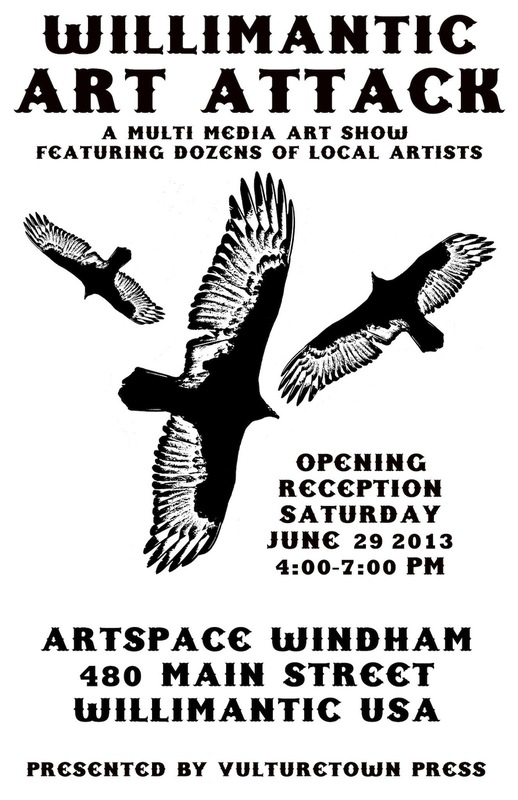 The 20% off coupons for used vinyl will be available exclusively at the Willimantic Art Attack Opening Reception on June 29th. Ask for yours at the Art Attack front table. Willimantic Records will stay open until 7pm, in case anyone feels like record shopping while in town for Art Attack 2013. "Art, chaos and JOY to the masses!"